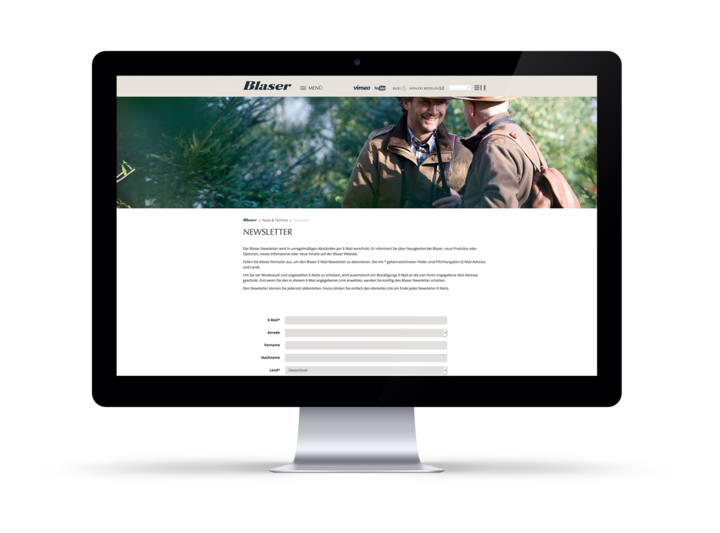 Discover the new Blaser Outfits spring/summer collection now. Experience our innovations 2019 - developed by hunters for active hunting. Read in the Blaser Blog how Pete Moore of „Shooting Sports Magazine” got along with the fully-moderated version of the R8, the R8 Silence. Do you already know our newsletter? Stay up-to-date and read about our latest products! 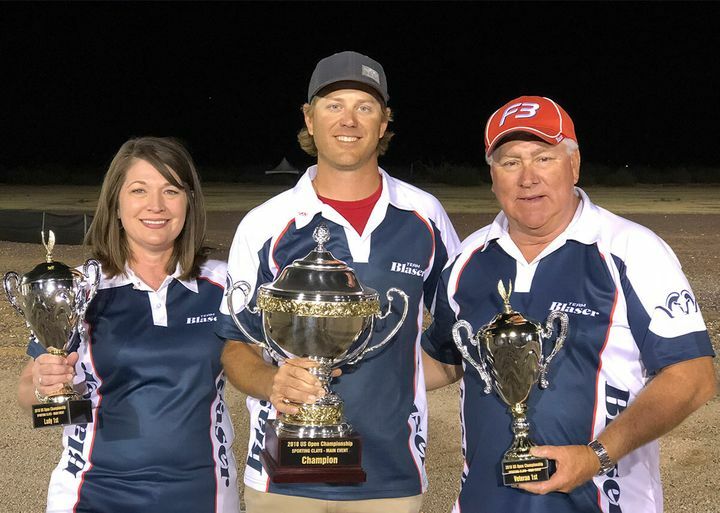 Blaser-sponsored shooters Cory Kruse, Janet McDougall and Bill McGuire are celebrating after winning in the National Sporting Clays Association (NSCA) 2018 US Open championship, held last weekend in Tucson, Arizona. The R8 Success Black Edition combines premium materials with the state-of-the-art rifle technology Blaser is so well-known for. Experience the first bolt action rifle R8 with integrated moderator – designed to optimally protect the hearing of hunter and dog. 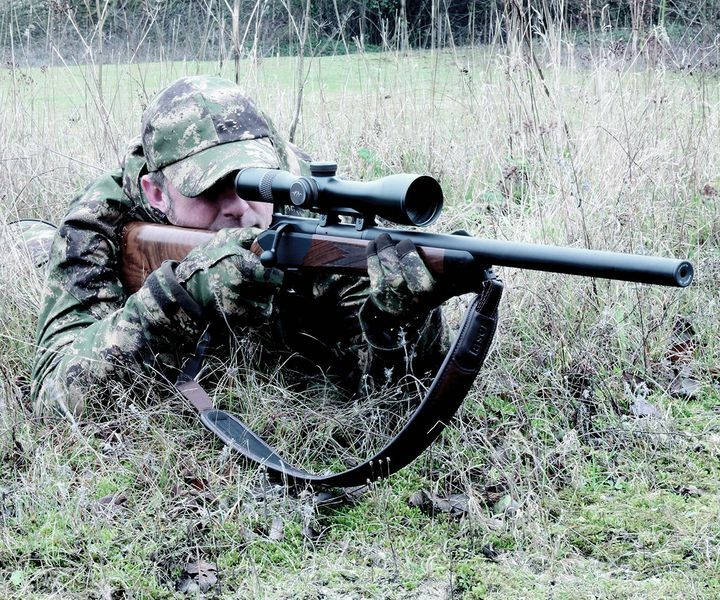 The construction of the R8 Silence is designed to protect the hearing of both hunter and dog. At any time, with every shot. The R8 Success Individual combines, for the very first time, precious walnut wood and premium leather. The R8 has again raised the level of performance you should expect from your hunting rifle: Introducing the R8 Carbon Success! Thanks to its extremely low receiver, the F16 forms the ideal platform for a shotgun that is exactly tailored to the requirements of the huntress. Discover more videos in our library or on Vimeo and YouTube! For more than 60 years now, we have been developing and manufacturing innovative hunting rifles with an uncompromising commitment to quality at our location in Isny im Allgäu / Germany. As active hunters, inspiration for our innovations comes when we are out in the field. In doing so, we solely focus on hunting practice. Meanwhile our developments go far beyond just hunting rifles: It is our declared goal to provide you with excellent hunting gear that is perfectly in tune – from hunting optics, ammunition and accessories to functional hunting apparel. Thanks to their love of detail, finesse and many years of experience the world's best engravers turn your hunting rifle into a unique piece.